Japan Mobile Tech: Apple engineers scrambling to fix iOS 6 maps? 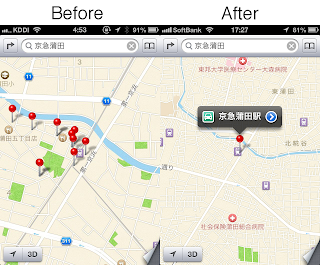 Apple engineers scrambling to fix iOS 6 maps? 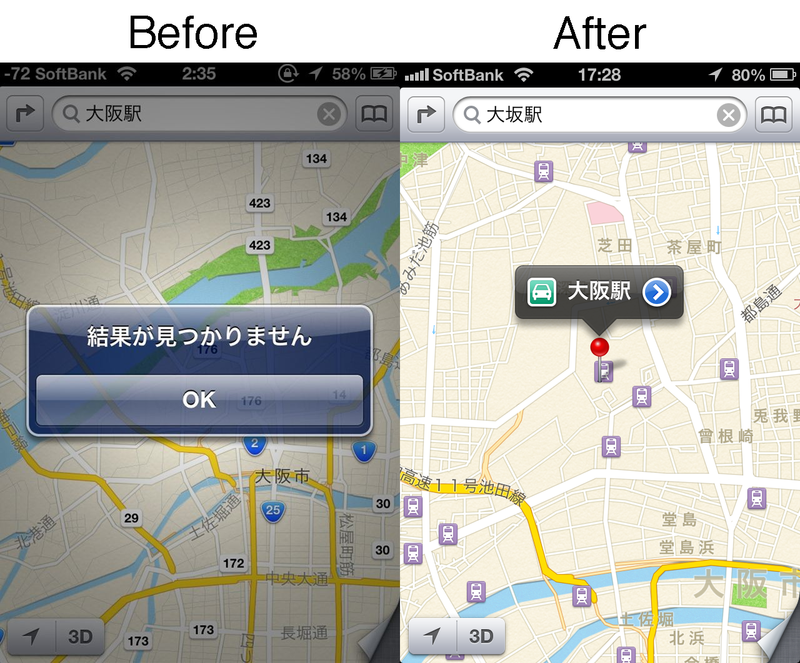 Soon after our post on how bad iOS 6 maps are in Japan, we started getting reports of improvements. It would seem that Apple is paying attention to the uproar and is frantically fixing some of the database errors and omissions. If they didn't know it before, they do now: maps are hard. Here are more recent search results for Osaka and Keikyu Kamata stations. The searches no longer fail or produce erroneous results. 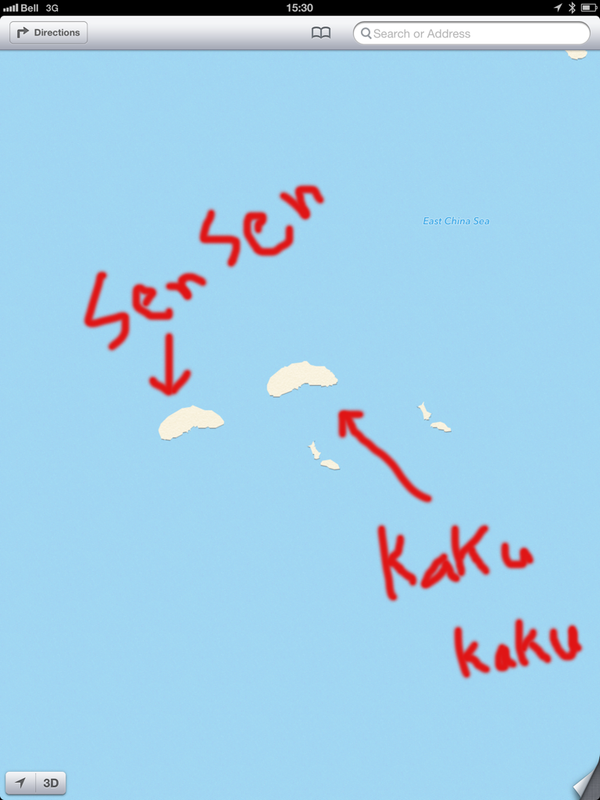 Initially, the disputed Senkaku Islands were not on the map, though they were in the database. 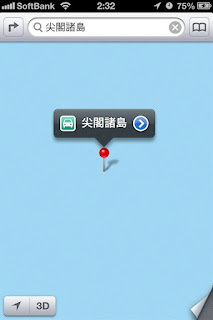 It's things like this that make maps hard. For example, labeling the body of water between Japan and the Asian continent the Sea of Japan in Korean would be a huge problem. 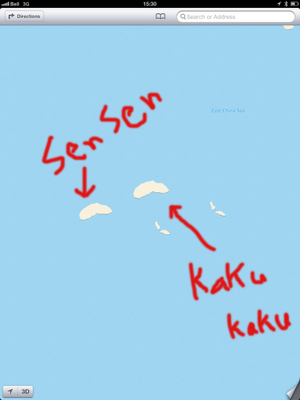 The Senkaku Islands are in the database but not on the map. 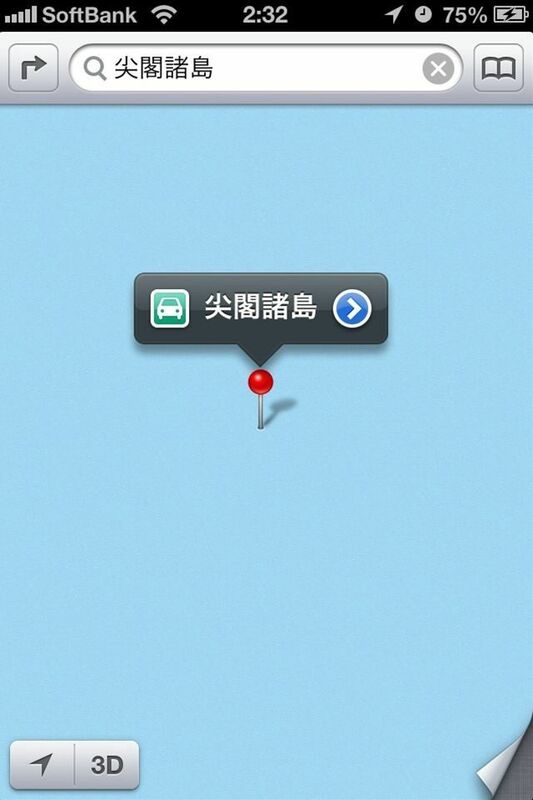 Now the island appear, not once but twice, prompting twitter user noruweijin to comment that "Apple Maps has 2 x Senkaku/Diaoyus islands to appease China and Japan or just copy+paste?" Tokyo governor Shintaro Ishihara is well known for politcally incorrect statements. When the giant panda on loan from China became pregnant, if twins were born, Ishihara suggested they be named Sen Sen and Kaku Kaku. As such, we've fixed the labeling issue for Apple.